If our task prior to kick off bordered on mission impossible, after twenty minutes, there was no doubting that the task before us had been put beyond our reach. Four goals down from the first leg in Belgium we found ourselves six behind on aggregate and only our pride could be salvaged. Thankfully it was as we went on to win 3-2, but it could have been so different as two incidents early in the match could have swung the tie our way. 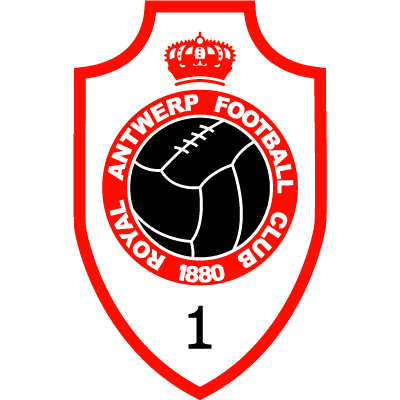 As promised we started off like a train and homed in on the Antwerp goal. The first of those breaks came in the eighth minute. John Clark swung a pass out to the left which Jim McInally ran on to, and in doing so was tripped when it looked as though he was just inside the box. The referee ruled it outside and awarded a free-kick from which Mixu Paatelainen headed over. The incident which effectively sealed our fate came ten minutes later. A shot by Schrooten seemed to carry little danger until it struck one of his colleagues and the ball spun high into the air allowing Lehnhoff to stride forward and lob the ball over the advancing Alan Main. Two minutes later Nico Claesen latched on to a stray ball from John Clark's header to roll the ball past Alan Main and kill the tie as a contest. As if to remind us that this wasn't going to be our night Kevin Gallacher capitalised on a mistake by a defender only to see his shot blocked by Svilar and the rebound break off Kevin's shin and into the side-netting. Our ill-fate continued when a studied header by Billy McKinlay from a Jim McInally cross hit the bar. Four minutes from half-time we finally made a breakthrough. Dave Bowman's cross from the right was neatly sidefooted home by Mixu Paatelainen coming in at the far post. Bad luck continued to dog our finishing at the start of the second half. John Clark saw his shot saved and Miodrag Krivokapic's follow up effort somehow slipped past the far post. John Clark blazed one over as we fought hard to get back on level terms. A goal did come in 61 minutes when John Clark's cross into the middle was turned over the line by Michael O'Neill. To be fair we did have a let off shortly afterwards when Claesen ran through but he, fortunately, shot straight at Alan Main. With two minutes left we at least recovered our pride when Jim Mclnally's free-kick was headed down into the net by John Clark. Even then we might have pulled back another in the last minute, but John Clark's shot was blocked by Svilar. In last Saturday's programme I asked the players to roll up their sleeves and graft hard for victory. Well the players have to be complimented for their performance, and in particular for their attitude, but sadly they didn't get their just reward in front of goal. In the first half, particularly, we played a lot of good football, but our finishing let us down. However, at least, we never looked like losing a goal and it's a long time since there has been such a one sided derby. 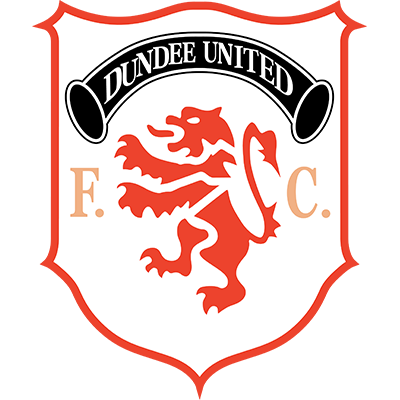 Whilst no one needs to remind me that we are a long way from what is expected of a Dundee United side, there were a lot of pleasing aspects and hopefully that is something we can build upon. The support which has followed us to tbrox, Antwerp and Fir Park is most certainly proving to be extremely loyal, because being quite frank, I for one would not have travelled anywhere to watch some of what we have served up this season. It has been an extremely difficult season for the players with every department of the side, including goal, having undergone change. What is required now is for us to string a few wins together to build confidence and qet some settled units within the side. 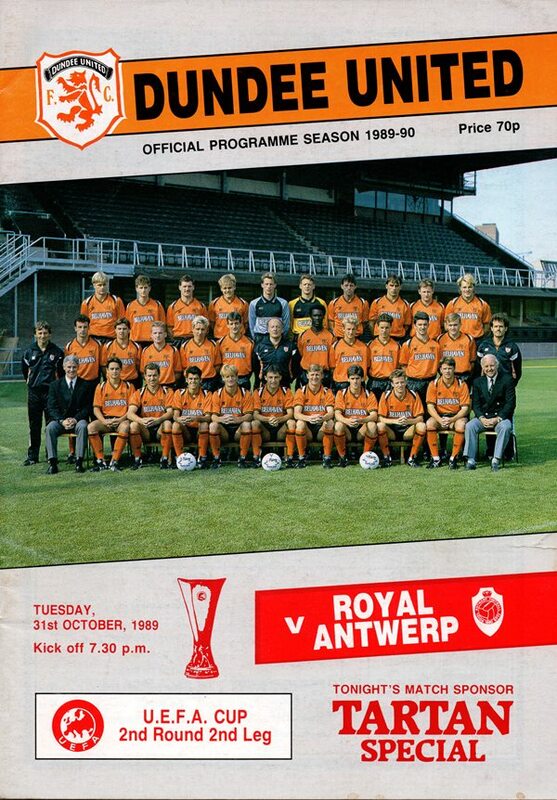 Antwerp certainly have exceptional front players and are solid in defence, but we must go for broke. This may leave the back door open for the Belgians, but there is no point in us sitting in and just trying to win the match. We have to go forward at every opportunity in the quest of goals and tonight that will entail taking risks.